Rough, textured walls were popular in homes built in the 1970s, but can now appear outdated or busy. It can also be difficult to paint or wallpaper over a textured wall. You do not need to knock down the wall or sand it smooth to get a smooth finish, however. 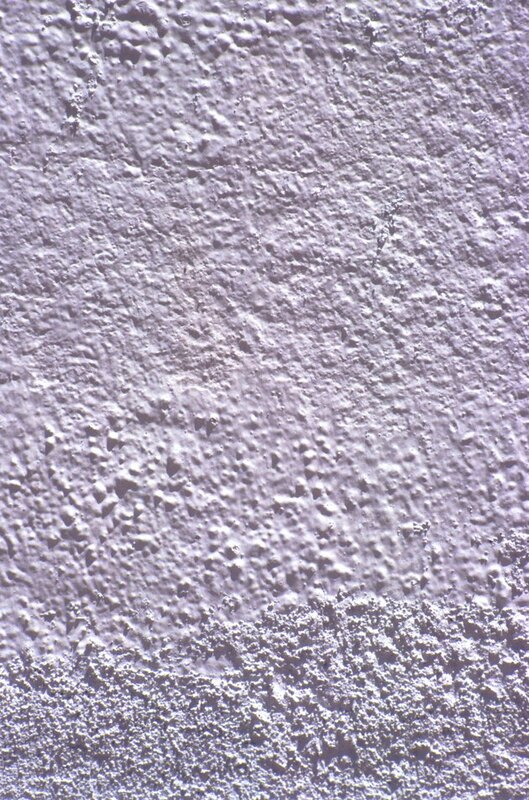 Skim coating, the process of covering rough walls with a thin layer of joint compound, will smooth out the wall surface. You can then add another texture, or wallpaper or paint over it. Rough walls will not hold wallpaper. Dampen a sponge with warm water. Wipe the rough walls with the sponge to remove any dust. Let the walls dry completely. Remove the furniture or cover it with drop cloths. Cover the floor with drop cloths. Tape butcher paper over any trim in the room to keep the dust off it. Fill any cracks with joint compound crack filler. Cover the compound patch with a piece of drywall tape, and let the compound dry for 24 hours. Empty a container of joint compound into a 5-gallon bucket or wheelbarrow. Fit an electric drill with a mixing paddle. Add water to the joint compound as you mix it with the mixing paddle until it is the consistency of cake batter. Scoop the compound, also known as mud, out of the container, using an 8- to 12-inch drywall trowel. Smooth the compound over the rough-textured wall, starting in an upper corner and working down the wall, then across it. Let the joint compound dry, and then sand away any ridges made by the trowel. Use a sanding pole if you cannot reach the upper portions of the wall. Apply another coat of compound to the wall in the same fashion as the first one if the wall is still slightly rough. Let it dry and then sand it smooth. Paint a drywall primer onto the walls once they are dry. This will fill in the pores and prepare the wall for painting or papering.